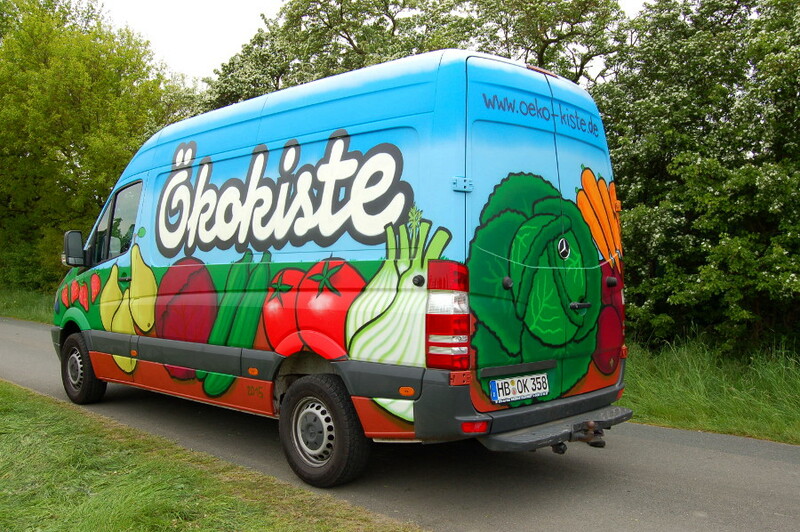 Hier der fertige Transporter für die Ökokiste - meine erste Fahrzeug-Gestaltung. 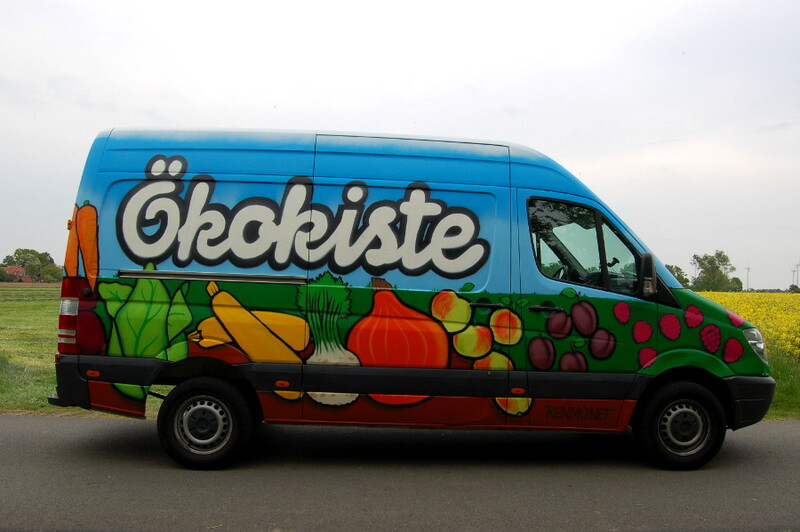 Here´s the van I painted for the "Ökokiste", a delivery service for organic veg and fruits. 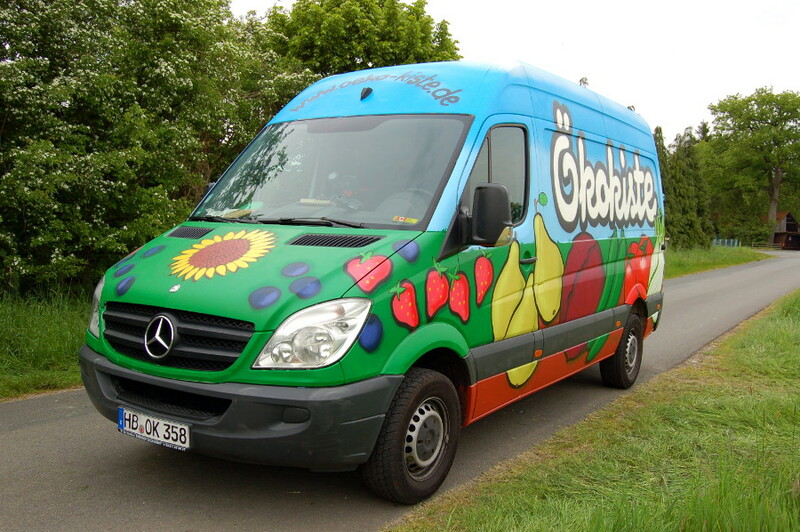 It´s the first time I painted a car.